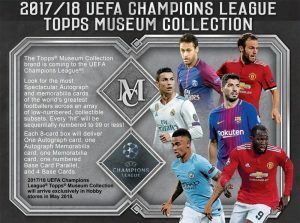 2017-18 Topps Museum Collection UEFA Champions League - Soccer Card Checklist	Overall rating:	4	out of 5 based on 1	reviews. 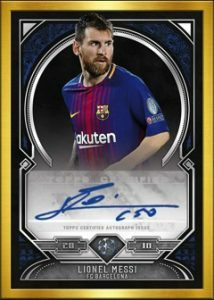 2017-18 Topps Museum Collection UEFA Champions League Soccer is a well timed release. With the World Cup of Soccer having just concluded, interest in the sport is at an all-time high. 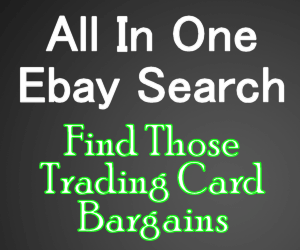 This premium release offers fans a variety of player autographs, auto relics, and game-used memorabilia. Fans will no doubt recognize the names of some of these players as having competed in the World Cup. 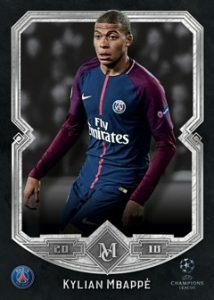 While this release features them with their profession clubs, it is a sure thing that the market for these players is huge right now, and this is the time to jump on soccer card releases. 9 Marcelo – Real Madrid C.F. 15 Ryan Babel – Beşiktaş J.K.
18 Oğuzhan Özyakup – Beşiktaş J.K.
20 Gareth Bale – Real Madrid C.F. 22 Pepe – Beşiktaş J.K.
23 Ricardo Quaresma – Beşiktaş J.K.
39 Keylor Navas – Real Madrid C.F. 49 Marco Asensio – Real Madrid C.F. 69 Adriano – Beşiktaş J.K.
75 Cristiano Ronaldo – Real Madrid C.F. MAR-GB Gareth Bale – Real Madrid C.F. AJR-GB Gareth Bale – Real Madrid C.F. 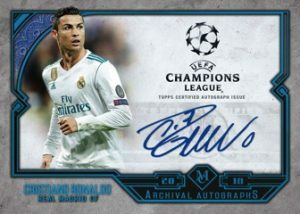 AA-CR Cristiano Ronaldo – Real Madrid C.F. AA-JL Jeremain Lens – Beşiktaş J.K.
FA-CR Cristiano Ronaldo – Real Madrid C.F. FA-GB Gareth Bale – Real Madrid C.F. RTK-CR Cristiano Ronaldo – Real Madrid C.F. MTR-GB Gareth Bale – Real Madrid C.F. MMSR-GB Gareth Bale – Real Madrid C.F. MMJR-GB Gareth Bale – Real Madrid C.F. 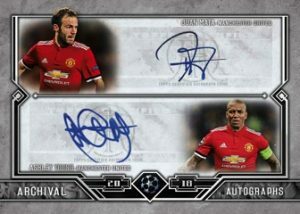 2019 TOPPS MLS MAJOR LEAGUE SOCCER HOBBY BOX !! FACTORY SEALED -3 HITS PER BOX !